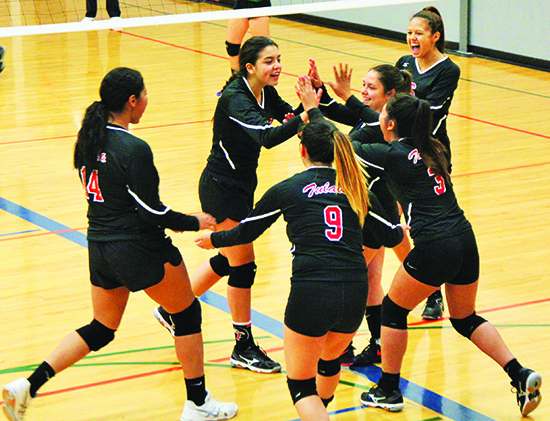 The Tulalip Heritage Lady Hawks volleyball team started off the season with a disappointing (0-3) record, largely due to a whole new cohort of players, including several who had never played organized volleyball before. The coaching staff of Tina Brown, Katia Brown, and Aliya Jones reviewed lots of game film and implemented a series of new practicing techniques to teach their new players the fundamentals of team volleyball. Over the course of the season, the practices paid off as the Lady Hawks found the winning way, taking four of their next six matches. After a humbling loss to Providence Classical Christian, the girls bounced back in a big way, again finding their rhythm on the court and finishing the regular season with four straight victories. The winning streak moved Heritage into a tie for 4th in the Northwest 1B League with an (8-6) record, and earned them a berth in the postseason tournament. 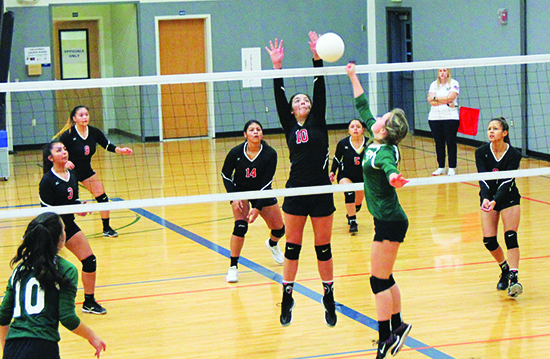 Over the course of the two-day 1B District playoffs, the Lady Hawks played four competitive matches vs. top quality opponents. First up was against Providence Classical Christian, which for the third time this season got the better of Heritage. In their following match Tulalip made quick work of Cedar Park Christian, beating them 3 games to 1. Arlington Christian was the next challenge. In a match that was by far the most competitive of the season for the Lady Hawks, with each game coming down to the wire and every single point being consequence, the girls gave a valiant effort and fell just short of victory. The letdown of the previous match carried over in what would be the final match of the season, a matchup with Shoreline Christian. The match was tightly played, with the Lady Hawks having a lead in every game, but not able to finish strong. Tulalip showed high spirits by continuing to play hard each and every point, even when the outlook was grim. Following the tournament, Lady Hawk senior captain, Keryn Parks, shared her thoughts as she reflected on the season. “During our season, we all tried are best and hardest to reach our goals as a team. We improved tremendously, worked better as a team, and built stronger relationships as a family,” said Keryn. “We grew so much. For myself, being a senior and playing on this team since my sophomore year, I knew the game pretty well and was more than willing to help my teammates, and encourage my teammates on just how great each of them are. This entry was posted in News, Sports, Tulalip News and tagged Lady Hawks, sports, Tulalip, Volleyball by Kim Kalliber. Bookmark the permalink.